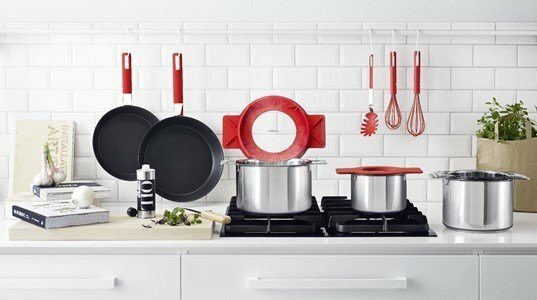 Besides having a range of pots and pans, Eva Solo’s new Gravity series includes a number of new kitchen utensils that make cooking much easier. Pasta al dente.... served in style!!!!! These spoons can be hung off the edges of all Eva Solo’s Gravity pots and pans, preventing drips from landing on the work-counter while you are cooking. All the utensils are made of stainless steel and silicone. 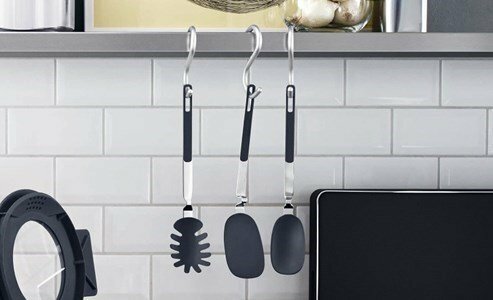 The utensils are heat-resistant up to 220°C, and dishwasher-safe.